The White House counsel's office is looking into the loans which came after Jared Kushner met with officials from the two firms. 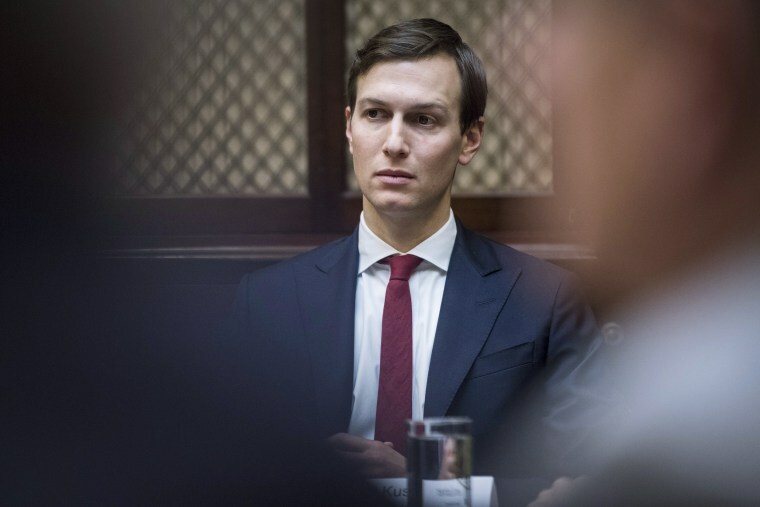 WASHINGTON — White House officials have been looking into whether $500 million in loans that went to Trump administration senior adviser Jared Kushner's family real estate company may have spurred ethics or criminal law violations, according to the head of the federal government's ethics agency. Jared Kushner under investigation... by the White House? Late Monday, Kushner's attorney, Abbe Lowell, said that "the White House counsel concluded there were no issues involving Jared." Several White House officials contacted for comment by The Associated Press were not immediately available to confirm whether White House lawyers had completed the inquiry. Both companies have insisted their officials did nothing wrong in meeting with Kushner. In one case cited by the Times, Citigroup lent $325 million to Kushner Cos. in spring 2017 shortly after Kushner met with Citi's chief executive, Michael Corbat. Last week, Citigroup's general counsel told several Democratic lawmakers in a letter that the loan was "completely appropriate." In a second case, Kushner met several times with Apollo co-founder Joshua Harris and discussed a possible White House job — followed by Apollo's loan of $184 million to the Kushner family firm. An Apollo spokesman previously told The Associated Press that Harris "never discussed with Jared Kushner a loan, investment, or any other business arrangement or regulatory matter involving Apollo."